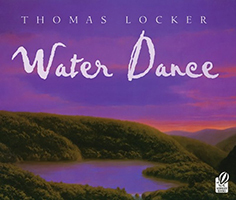 THOMAS LOCKER has written and illustrated many award-winning books for children, including the companion titles Water Dance and Mountain Dance. He lives in Stuyvesant, New York. Poems and stunning oil paintings follow water as it moves through the world via the water cycle.